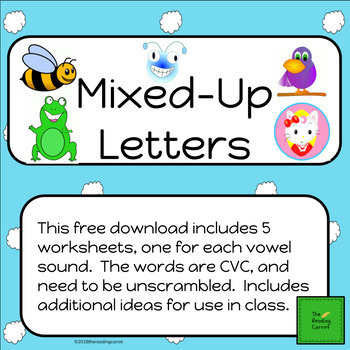 This download includes 5 worksheets, one for each short vowel sound. 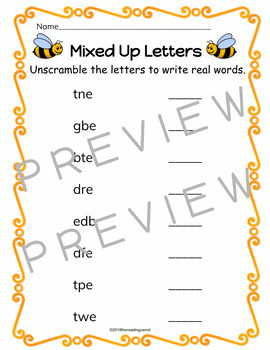 The words are CVC, and need to be unscrambled. Black and white versions are included as well. 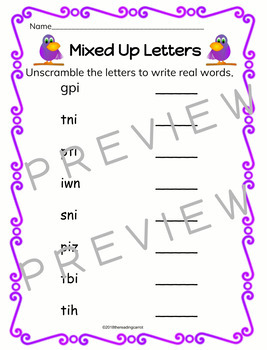 Instructions included with additional ways to use in small groups and learning centers. Answer key is included.